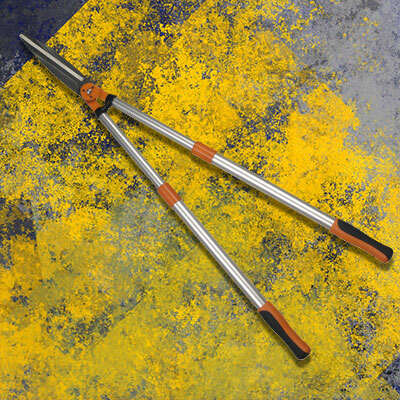 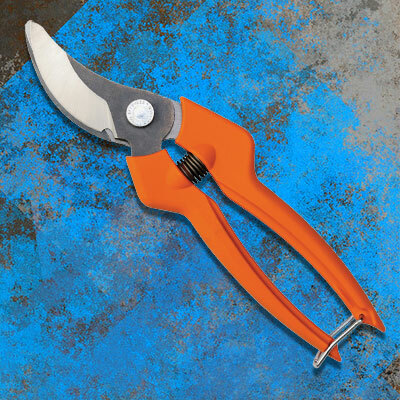 The Bahco PG-57 Expert Telescopic Hedge Shears have handles made of silver aluminium tubes, that are extendable. 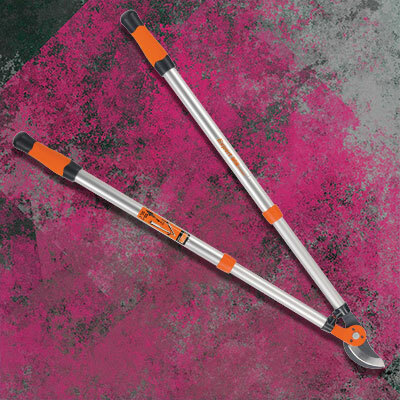 The special locking system locks and unlocks with just a quarter-turn. 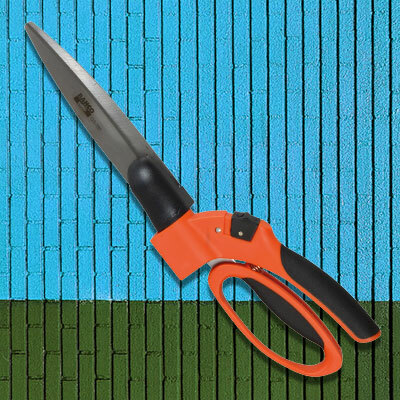 The hedge shears have an exchangeable rubber buffer, comfortable bi-material grips made of orange polypropylene and soft black thermoplastic elastomer.